EMC is a global leader in enabling businesses and service providers to transform their operations and deliver information technology as a service (ITaaS). Fundamental to this transformation is cloud computing. Through innovative products and services, EMC accelerates the journey to cloud computing, helping IT departments to store, manage, protect and analyze their most valuable asset - information - in a more agile, trusted and cost-efficient way. EMC works with organizations around the world, in every industry, in the public and private sectors, and of every size, from startups to the Fortune Global 500. EMC customers include global money center banks and other leading financial services firms, manufacturers, healthcare and life sciences organizations, Internet service and telecommunications providers, airlines and transportation companies, educational institutions, and public-sector agencies. EMC is supported by thousands of technical R&D employees around the globe. The industry's broadest portfolio of systems, software, and services, ability to create total integrated solutions, and commitment to delivering the best Total Customer Experience in this or any industry. EMC employs approximately 60,000 people worldwide, and represented by approximately 400 sales offices and scores of partners in 86 countries around the world. EMC has the world's largest sales and service force focused on information infrastructure, and work closely with a global network of technology, outsourcing, systems integration, service, and distribution partners. 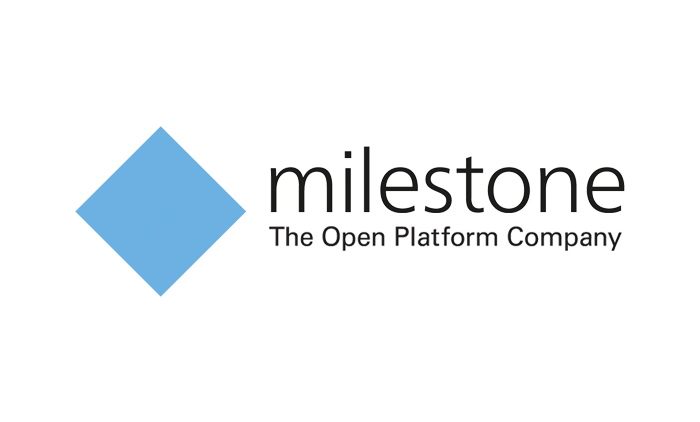 Founded in 1998, Milestone Systems is a world-leading provider of open platform IP video management software (VMS) with headquarters in Copenhagen, Denmark. Company objective is to improve clients organizational processes and increase overall security through the management and distribution of digital video data. Milestone products offer unlimited integration possibilities due to the Milestone Integration Platform Software Development Kit (MIP SDK). The MIP SDK provides the framework to integrate applications such as access control, intrusion detection and video analytics among many other solutions. All Milestone products are designed to fulfill the requirements of any surveillance installation; from a surveillance system at a single site with few cameras to complex, multi-site installations with a dedicated central surveillance center. All Milestone products are easy to use and enable users to view live video, play back recordings, investigate suspicious incidents and export video evidence. With Milestone, users have the capability to increase the size and complexity of their installations according to their needs. Milestone's powerful ecosystem consists of more than 8,000 partners around the world including camera manufacturers, software developers, distributors and resellers. Milestone solutions are available in most countries around the world, with regional offices and sales representatives in more than 18 countries. StarLink is acclaimed as the largest and fastest growing "True" Value-Added IT Security Distributor across the Middle East, Turkey and Africa regions with on-the-ground presence in 9 countries. With its innovative Security Framework, StarLink is also recognized as a "Trusted Security Advisor" to over 500 enterprises and government customers that use one or more of StarLink's best-of-breed and market-leading technologies, sold through its Channel network of over 250 Partners. The StarLink Solution Lifecycle helps Channel Partners differentiate offerings, and assists customers to identify key risks and define priorities for addressing IT Security gaps relating to compliance and next-generation threat protection.